This is the age where players can begin to understand the concept of working with a teammate. The notion, or willingness, to intentionally pass the ball to someone is just beginning to take hold. 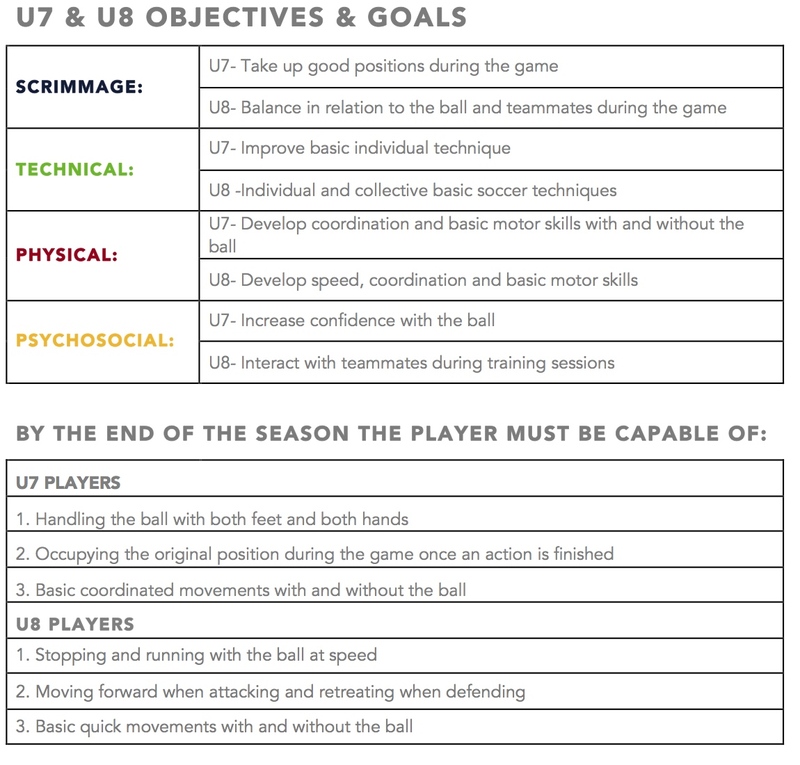 Coaches will have more success encouraging players to pass the ball in the seven to eight year old age group. 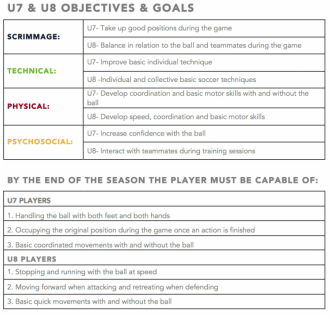 In this age group, the player begins to think beyond their personal needs and actively begins to cooperate with a teammate. However, players in this age group must continue individual ball work.